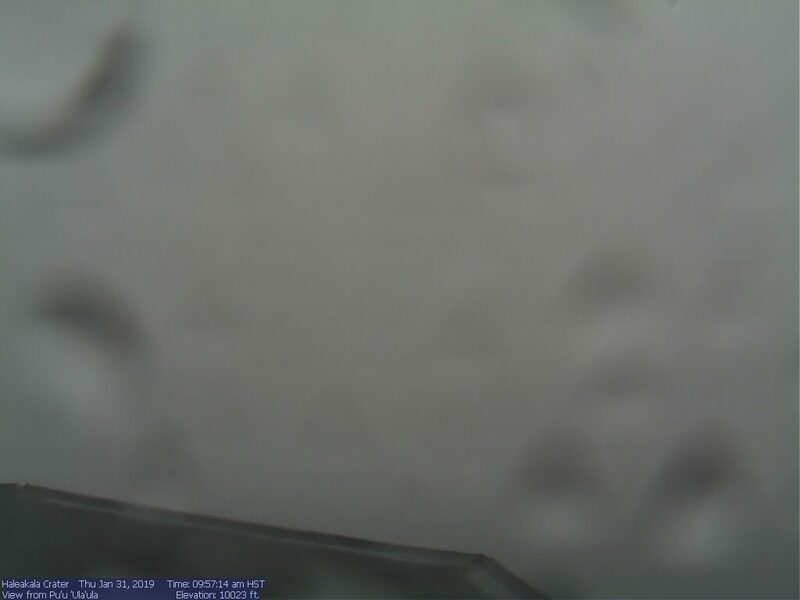 Haleakalā National Park Crater Webcam on Thursday morning, Jan. 31, 2019. Elevation 10,023 ft. PC: Haleakalā NP. Wintry weather in the form of black ice and snow flurries have been reported atop Haleakalā. 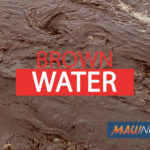 There were no winter weather advisories in effect, but there were reports of “snow flurries off and on with no accumulation on the ground,” said Nancy Stimson, Choctaw, Chief of Interpretation and Education Haleakalā National Park in an email communication with Maui Now this morning (Thursday, Jan. 31, 2019). Black ice forced the temporary closure of the summit road at Haleakalā on Tuesday night. 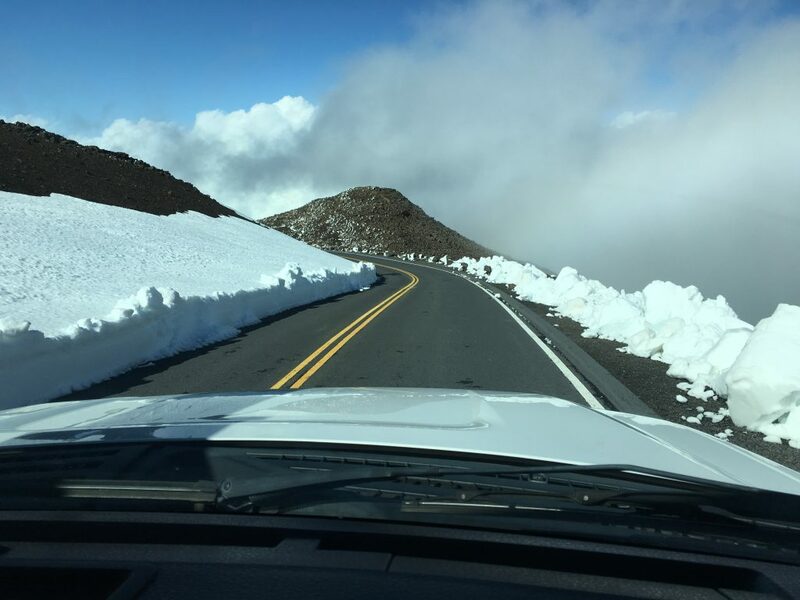 The severe road conditions were reported between the 9740-foot (Haleakalā Visitor Center) and 10023-foot (summit) elevation. Stimson said a quarter mile of road was closed briefly for safety reasons and then reopened a few hours later. The last time it snowed at Haleakalā was February 19th of last year, when 1.5 inches of snow and a heavy layer of ice was reported. Stimson described today’s conditions as a “white out.” “We’re in dense fog, with blowing rain. All I see outside my office window is white. 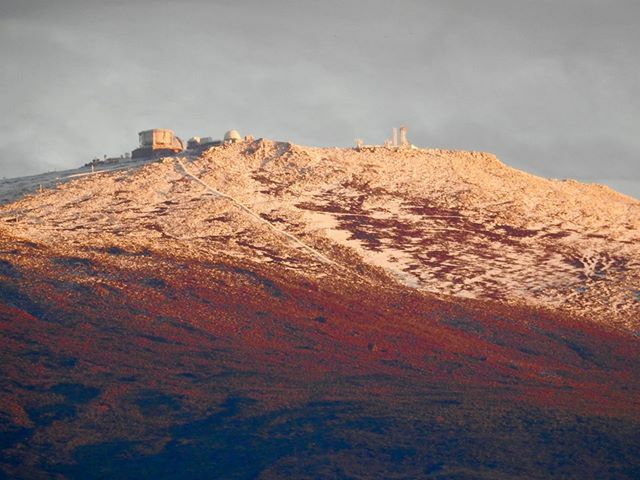 Not a photogenic mountain today,” she said. Wendy Osher leads the Maui Now news team. 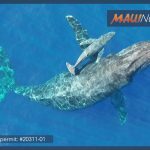 She is also the news voice of parent company, Pacific Media Group, having served nearly 20 years as News Director for the company’s six Maui radio stations.